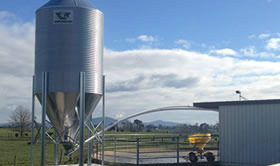 Buster Cover Feed Systems is based in the heart of rural Waikato in Matamata. We specialise in rural feeding equipment. Buster Cover Systems welcomes all enquiries regarding our products and services, so please contact us for any further information. Servicing your rural business needs as specialists in feeding equipment systems, servicing & winching.